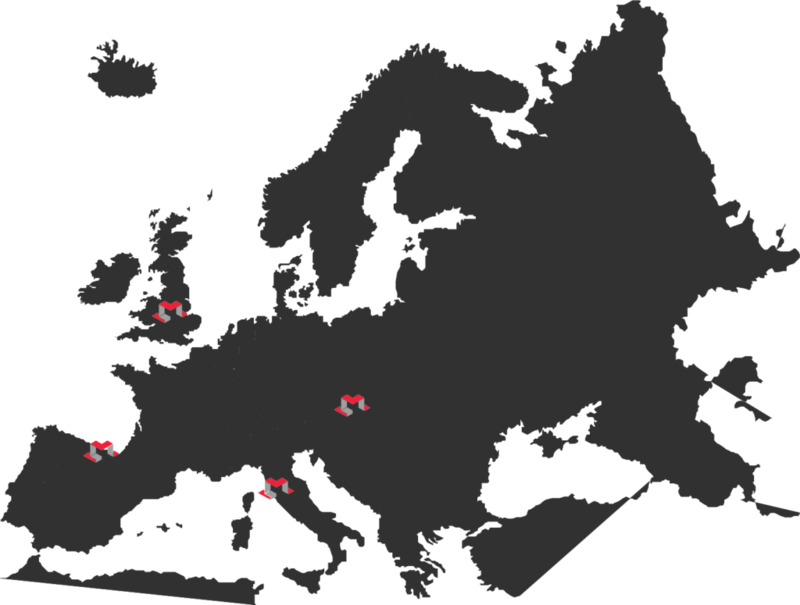 The OpenMaker programme is offered through 4 accelerator hubs (and 5 accelerators in total) in locations around Europe. You can find out more about what makes each hub special below. The Italian Accelerator is designed and conceived to act at the crossroads between the propulsive force of the maker movement and the opportunities envisaged by the Industry 4.0. Its ultimate goal is to enable and support the collaboration between the local manufacturing sector and maker communities, in order to foster cross-boundary partnerships, build a joint community for knowledge sharing, and ultimately contribute to the creation of the ecosystem needed to shape the Italian Industry 4.0 path. Over the next 2 years, it will offer a structured programme of events and capacity-building for manufacturers, makers and stakeholders, while allowing the experimentation of new products and production processes, as well as the co-design of innovation strategies. The Italian Accelerator is hosted at Impact Hub Florence and run by LAMA. Most of the accelerator programme will take place at Impact HUB Florence and in other locations across the Tuscany Region. Additional events will be also organised in Turin and Milan thanks to the collaboration with TOP-IX, in order to involve manufacturers and makers that operate in these two strategic contexts. The design of the program is in progress, check the calendar to stay updated! The aim of the OpenMaker project and its application in Slovakia is to bring together manufacturers and makers - to create the conditions for meetings, collaboration and creation. The initiative offers them an opportunity to upgrade existing products and create new ones. OpenMaker will also identify previously unrecognised production possibilities. Makers and manufacturers may bring their production to new markets and append it with a hallmark of socially beneficial production. Moreover, OpenMaker will organise events with inspirational speakers and offer opportunities to network with manufacturers and makers from three more European countries. The project is also interesting for other stakeholders - universities, non-profit organisations or municipalities. Our goal is to create a community that will use innovative methods of production and provide it with new impetus. The Slovak Accelerator will be managed by Centire. Other events will be organised in cooperation with hubs, co-working spaces and maker spaces in Bratislava. The Spanish Accelerator is designed to act at the crossroads of these two emerging worlds. Its main objective is to enable and support the collaboration between the local manufacturing industry and the maker’s communities for aiming cross-boundary partnerships, build a joint community for knowledge sharing and ultimately contribute to the creation of the ecosystem needed to shape the “Basque Industry 4.0” path. Over the next 2 years, it will offer a structured program of events and capacity-building for manufacturers, makers and stakeholders, while allowing the experimentation of new products and production processes, as well as the co-design of innovation strategies. The Spanish Accelerator will be managed by Fundación TECNALIA Research & Innovation and will be located in Bilbao. In this accelerator several activities will be held in different locations and facilities around the Basque Country and in other regions in order to maximise the impact of our activities. The aim of the accelerator programme is to engage maker communities, to identify local needs of traditional manufacturers and to promote a shared vision of the different agents that will take part in this ecosystem of open manufacturing. Different showcase events, trainings, thematic workshops and contests will be supported for developing 5 open manufacturing prototypes that will tackle real problems of traditional manufacturers. The UK Accelerator will work across 3 regional maker communities that are active within three very different areas of the traditional manufacturing industry. They each form part of their city strategy for creative and digital industries, support city region strategies for the repatriation or stimulation of manufacturing industry, and are underpinned by the National industrial strategy. The Accelerator is being delivered by Accord Housing Group in collaboration with The Beautiful Ideas Company. These two not for profit companies have worked together over the last three years to invest almost £1,500,000 in over 40 innovative enterprises that are both financially viable whilst delivering social benefits and societal innovations.